PORTLAND, Ore. – Dr. Michael Holick, a professor of medicine, physiology and biophysics at the Boston University School of Medicine who has revolutionized the understanding of vitamin D and its role in disease prevention, today received the $50,000 Linus Pauling Institute Prize for Health Research. The prize was presented at a biennial conference, Diet and Optimum Health, sponsored by the Linus Pauling Institute at Oregon State University. It recognizes international leaders in research on the role of diet and nutrition in health promotion and disease prevention, as well as efforts to disseminate knowledge on diet, lifestyle and health to enhance public health and reduce suffering from disease. Holick is responsible for redefining vitamin D deficiency, a concern that's now seen as a national epidemic, and has been strongly criticized in the past 20 years when warning that abstinence from direct sun exposure through sunblock use was leading to increasing vitamin D deficiency – with serious implications for cancer and other diseases. "I well remember Linus Pauling standing up to criticism and skepticism, a trait of Holick as well," said Nevin Scrimshaw, president of the International Nutrition Foundation, in nominating him for this award. "Today, Holick is recognized as a world renowned nutritional biochemist/physician whose research has had a global impact on the health of both children and adults." Holick's work opened a wide field of investigation that has now demonstrated how vitamin D deficiency increases the risk of cancer, autoimmune diseases, infectious and cardiovascular disease, Scrimshaw said. And studies have concluded that more than 50 percent of the children and adults in the United States are vitamin D deficient – a growing crisis, due in part to successful campaigns to always wear sun protection outdoors and reduce natural production of what's known as the "sunshine vitamin." Holick was the first scientist to isolate the active forms of vitamin D, and in the past three decades has become the world authority on photobiology of vitamin D through synthesis in the skin. He's determined that anyone living north of 35 degrees latitude can't make enough vitamin D in the skin during winter exposure to sunlight. His work has helped lead to vitamin D fortification in various foods. In more recent work, Holick has shown links between vitamin D deficiency and the development of preeclampsia in pregnancy. An understanding of the health benefits of vitamin D was cited by Time magazine as one of the top 10 medical advances in 2007. 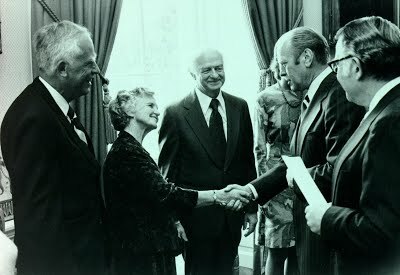 Previous recipients of the Linus Pauling Prize include Bruce Ames, University of California at Berkeley; Walter Willett, Harvard University; Paul Talalay, Johns Hopkins University School of Medicine; and Mark Levine, National Institutes of Health. The prize is named after Linus Pauling, a two-time Nobel laureate, OSU alumnus, founder of the Linus Pauling Institute and pioneer in the role of vitamins and micronutrients in promoting health and preventing disease.